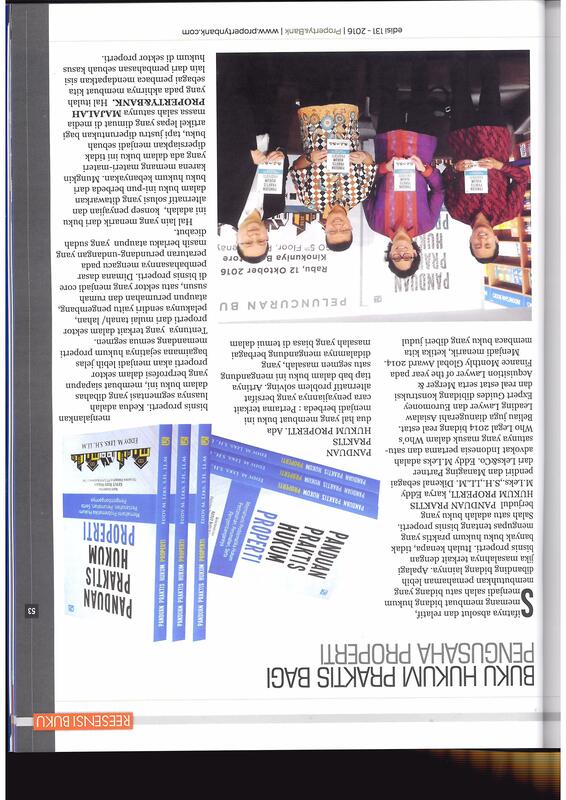 My b ook titled "A Practical Guide to Property Law (Panduan Praktis Hukum Properti)" is reviewed and featured in Property&Bank magazine. The review says that this book provides alternative problem solving where each chapter contains one segment problem you commonly encountered in the property business. Further, the extent of segmentation discussed in this book makes anyone who works in property sector will understand the property law better.